A massive bowl, probably turned from walnut or teak. 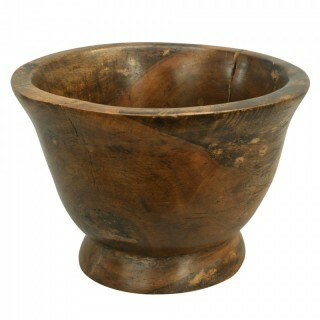 The bowl is very solid with thick walls and wonderful grain and very nice patina. The condition of this bowls is good with two splits going half way down which is not surprising as it is turned from the centre of the tree.